Villa "this property". In the district of La Malouine, 500 m from the sea. Private: well-kept garden, parking on the premises. Shop 600 m, restaurant 400 m, sandy beach "L'Ecluse" 500 m. Riding stable 1.5 km. 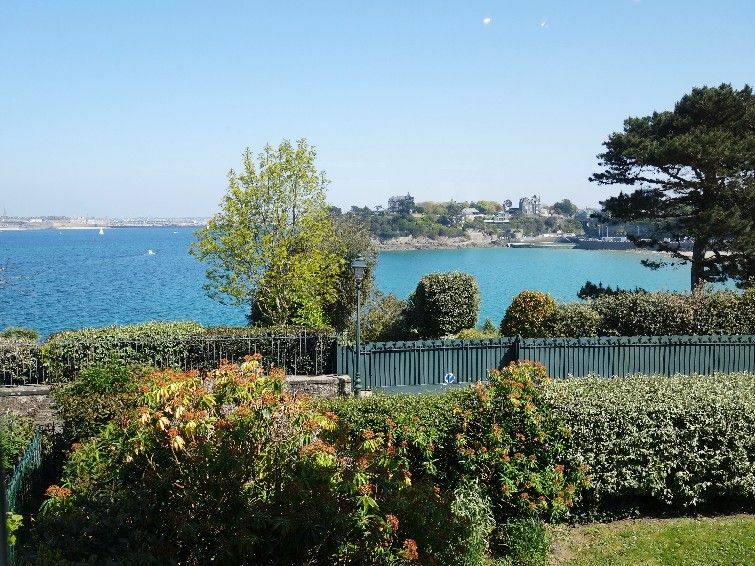 Nearby attractions: Saint Malo et ses remparts 12 km, Dinan 23 km, Cancale et ses huîtres 22 km, Cap Fréhel et Fort La Latte 35 km, Mont Saint Michel 58 km, Zoo de la Bourbansais 37 km. 5-room house 180 m2 on 2 levels. Comfortable and beautiful furnishings: large living/dining room with TV (flat screen), hi-fi system. Exit to the terrace. Office. Kitchen (4 hot plates, oven, dishwasher, microwave, electric coffee machine). Sep. WC. Upper floor: 1 room with 1 french bed (1 x 160 cm, length 200 cm), bathroom. 1 room with 1 french bed (1 x 140 cm, length 190 cm), bathroom. 1 room with 2 beds (90 cm, length 190 cm), shower. Sep. WC. Terrace. Terrace furniture. Beautiful view of the sea. Facilities: washing machine. Internet (WiFi, free). Please note: non-smoking house. Smoke alarm.